Okay everyone, call in sick today, turn off your phone and clear your day planner. Time to clear your head and center yourself. 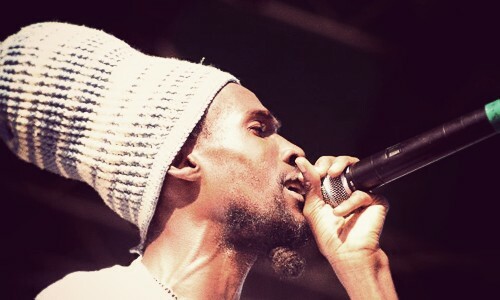 This week's reggae infusion is from one of my personal all-time favorites, Midnite. Yesterday, the reggae prophets from St. Croix dropped the single for their upcoming album Kings Bell (full album coming November 1). Now for those of you who don't know, Midnite is lead by singer Vaughn Benjamin who is more of a shaman than a reggae singer. His weighty musical tome contains over 40 albums – all raw spiritual roots reggae. No gimmicks are needed, no auto-tune, no dancehall remixes, no glossy over produced garbage (some songs are recorded in one room with only two mics). Vaughn's voice is hypnotizing and his lyrics are deep. He sings about everything from the Bible to the Gnostic Gospel, ancient philosophy to economic theory, from mathematics to the miracles of nature, from media in modern society to slavery and racism, from prayer and diet to cosmology. Despite the heavy themes, no song ever gets weighed down by its content, the bass line just keeps on moving. I had a hard time deciding which songs to post today because there are so many amazing tracks. I narrowed it down to some of my favorites but this is just the tip of the iceberg. Dig deeper. sweet post. i love midnite and they are so underrated i've been sitting in front of my computer for the past 20mins and can't stop listening thanks for sharting!! thanks for sharting.. hehe. seriously though awesome find, this guys awesome. jah bless! the best of reggae music!! Haha..that first chick said "thanks for sharting". Awesome post, by the way!